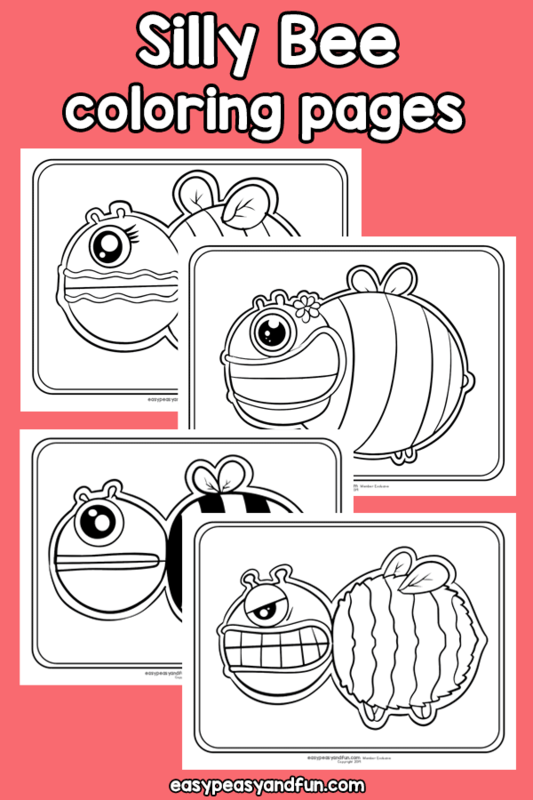 In this set of silly bumblebee and bee coloring pages, you will find four different bug designs. 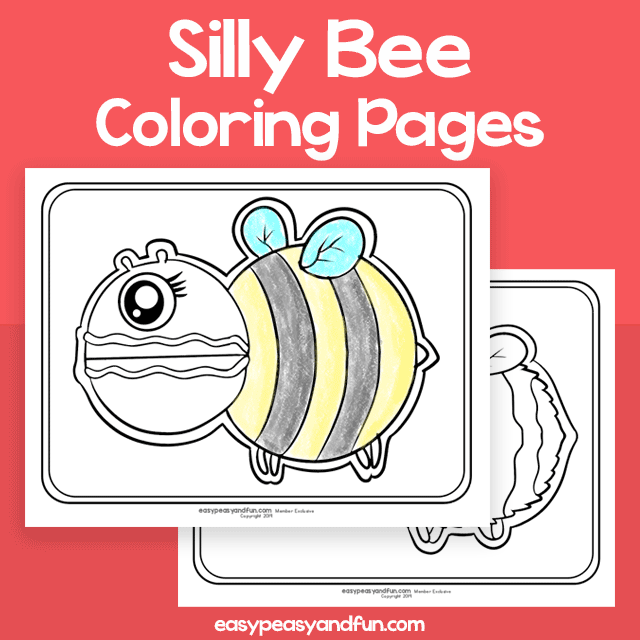 Even though these are the “silly” ones, the bees as well as other bugs in this coloring pages set aren’t silly at all as they play an important role in our ecosystem. So print out these bug coloring pages and also teach your kids or students about the importance of these busy workers. The 4 designs included can all be bees or bumblebees and you can even pass some as wasps or hornets.